I had been looking forward to my day with Nicolas Rossignol and the opportunity to do another deep dive into Volnay and Pommard, the famous neighboring red-wine villages of the Côte de Beaune that are so close to one another but are so famously different. Rossignol is one of the best visits a Burgundy lover can make, as rare is the domaine with so many high quality crus of both Volnay and Pommard. It was to be lunch followed by a day of conversation, vineyards and wine. Just as I arrived, the sun finally broke through the dreary clouds on this mid-June day and set the tone for my afternoon. As instructed, I pulled up in front of the church just before noon and waited. The church bell rang and within minutes vineyard tractors sped in from all directions; it was lunchtime in France and everything but eating and drinking comes to a halt. I waited in front of the church, before, circumambulating it in five-minute intervals to make sure I wasn’t somehow missing him. After 20 minutes and four orbits around the church, Nico’s truck finally turned up the main road. Dressed simply in blue jeans and a black sweater with close-cropped, prematurely grey hair (he’s only 42), he greeted me warmly and parked before we turned up the street and into Volnay’s newest restaurant, L’Agastache. Our perfectly prepared three-course lunch (tempura cuttlefish with zucchini, followed by saddle of veal with sautéed chanterelles, and a strawberry-rhubarb dessert) was excellent. We supported it with a bottle of 2009 Roy-Jacquelin Pommard Les Rugiens, selected by Nico, who assured it would be nearly impossible to find outside of Burgundy. 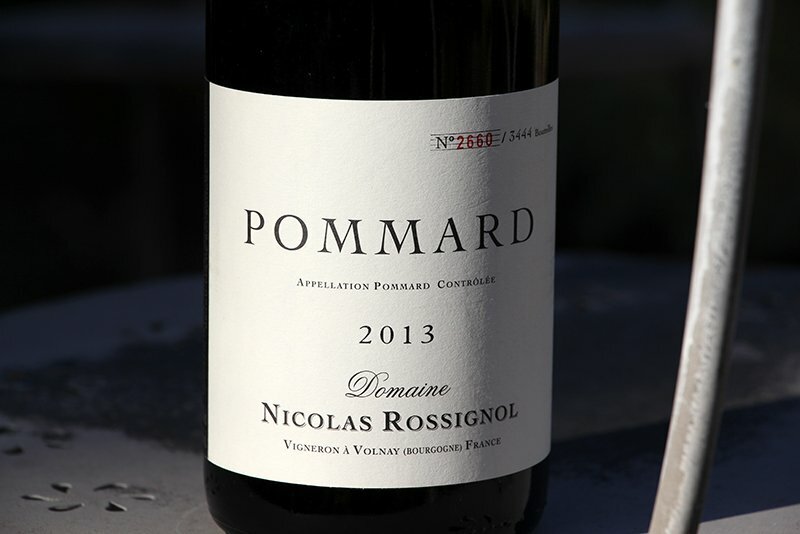 By the third glass, the wine had opened up and was showing the depth and complexity one expects from (arguably) Pommard’s top cru. After lunch, we rolled back down the hill to his Bourgogne vines just on the east side of the Route Nationale 74 and from there began working up the slope on an exhaustive four-hour tour of his impressive holdings in Volnay and then Pommard. 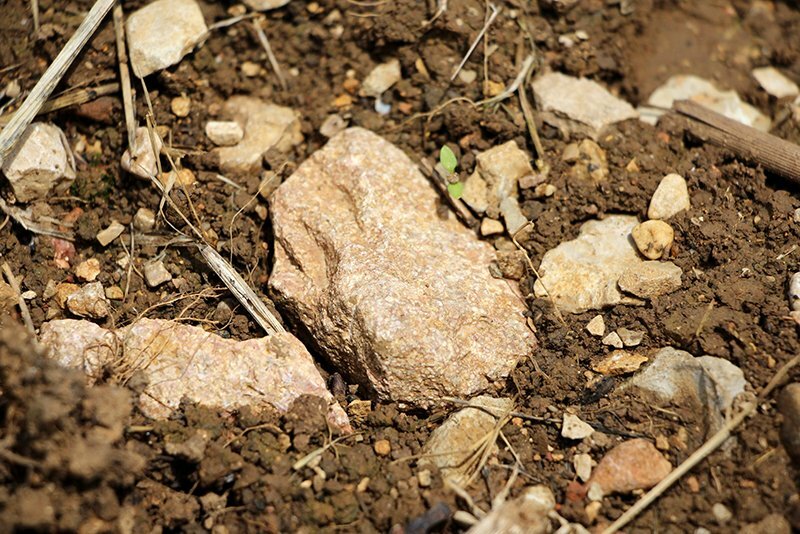 As deep as we could go without shovels, the soils, rocks, vine management and voice of each terroir was clarified to me as well as any other tour I’ve had in Burgundy. Burgundians are warm, generous people, but it’s hardly typical for a vigneron to spend an entire day with you, even if you import a tremendous amount of their wine. Fortunately, I was able to keep up with his explanations of each vineyard, as I spent three hours in these same two villages two years prior with Françoise Vannier, Burgundy’s most revered geologist. Strikingly evident throughout the vines was the highly distressing carnage of 2016, a year that many are claiming (including, reportedly, Lalou-Bize Leroy, born in 1932) is the worst in memory. First, it was a frost that froze nearly all of Europe, followed by a vicious hailstorm and now devastating mildew pressure after three months of non-stop rain. Of Nico’s vines, the worst hit were those below the village, where he lost almost everything. Upslope things improved modestly. A loss of around 60% was the average through the lowervillage vineyards. Indeed, most of Nico’s vines were stripped of most of their production. Some, however, like his Clos des Angles and Cailleret still showed great promise and, miraculously, were almost completely spared of the first two of the year’s calamities. Of course, the jury will remain out until the last grapes are picked, but, if the sun sticks around and finishes out the year through harvest, there will still be hope for a few wines of serious quality. 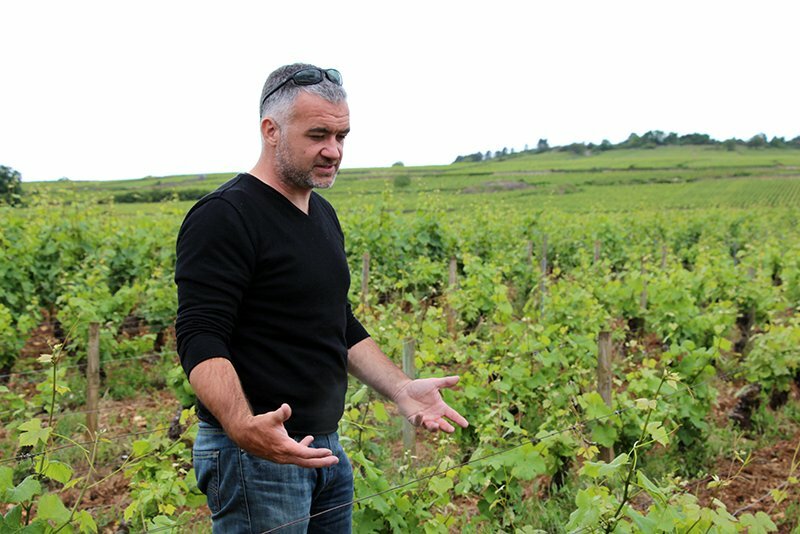 Nico further explained his approach using Clos des Angles as an example. He describes the wine as coming from “a big slab of clay” that needs stems to keep it from becoming too fat, fruity and lacking in complexity. I agreed, as de-stemmed versions of this particular vineyard from other domaines strike me as delicious, but not necessarily thought provoking. On the contrary, Roncerets, a greater premier cru with big alluvial limestones and less clay, already makes for an extremely mineral wine and doesn’t need the support of whole clusters. As we tasted numerous vintages, we talked about how often the villages defy their stereotypes—how some Volnays are just as masculine as a Pommard and certain Pommards can be more elegant than Volnay. Nico is blessed to own plots of the some of the very best vineyards within the two appellations—Caillerets, Chevret, Roncerets, Taillepieds, Jarolieres, Argilliers, Les Epenots— all of which clearly express their diverse terroirs. His approach is to evoke the greatest characteristics of each to create a range of wines complimentary to the vineyard material. His thoughtfulness and agility in the cellar eschews programmatic winemaking and opens the door for a more in-depth exploration of the best way to approach each terroir. Of course, if he made them all the same, it would be easier for us to understand each terroir. But nothing would make him happier than someone exclaiming that each of his wines tastes singular and different, vintage to vintage. Like the man himself, his wines can initially seem larger than life, but when you take time to get to know both, they are as refined as they are powerful. Our visit lasted beyond dinner until close to midnight. We concluded at my favorite spot in Beaune, the Maison du Colombier, with its wonderful proprietors, Françoise and Roland. Because it was the first rainless night of summer, it seemed the entirety of Beaune was reveling on the patio, including luminaries like Dominique Lafon, Jean-Marc Roulot, Etienne DeMontille. It was late and I was invited to stick around, but my mind was still reeling from such a densely packed day that even one more great wine would have likely crashed my hard drive. I left it all behind and in the cool air of night wandered up the cobblestone streets, past the church, and down a few tiny roads back to my apartment on Rue Marie Favart. Inside, I sat on the bed and kicked off my boots, liberating my tired feet. It had been a beautiful day, and I bore no regrets of leaving the party behind. It had been Nico’s day, and it ended perfectly. As I sat there, I found myself inspired to write, but knew that if I began this piece, I wouldn’t be able to stop until my next appointment the following morning. Instead, sleep claimed me and I dozed off with my last taste of Burgundy lingering on my tongue. This entry was posted in French on July 2, 2016 by Ted Vance.